I know its been a while since I posted anything substantive here but I do have an excuse...well actually several but I won't bore you with the details. Suffice it to say that the merger my company is going through is taking more of my energy than I want to expend. Nothing bad, just busy which really is actually a good thing. 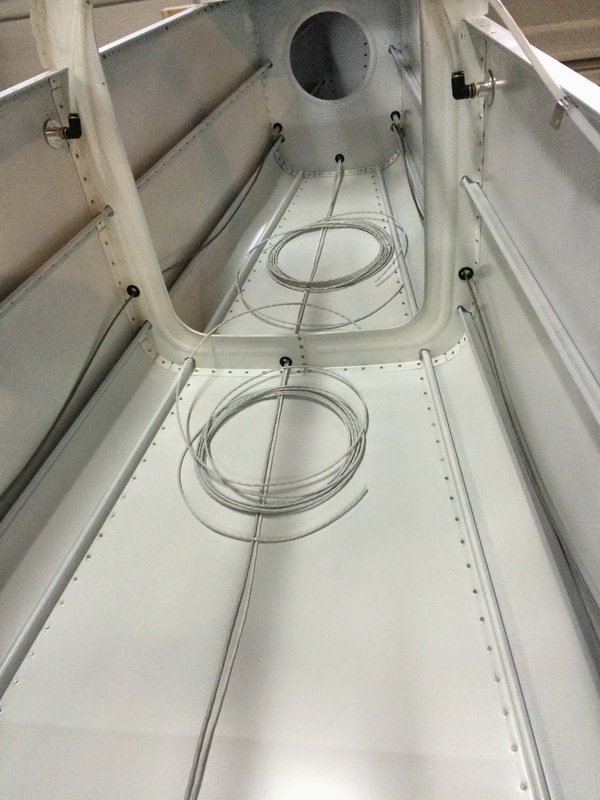 On the RV I have made some progress but most of it is pretty small stuff that take a lot of time. One disappointing thing to mention... today I decided to see if the carbon fiber layup I did last month was going to be usable. I don't remember if I mentioned it but one of the epoxy pumps came apart when I was doing the work and as a result the mixture was wrong. Well, it failed. The panel was not usable and in fact it was very soft in the middle. Too bad...expensive lesson. 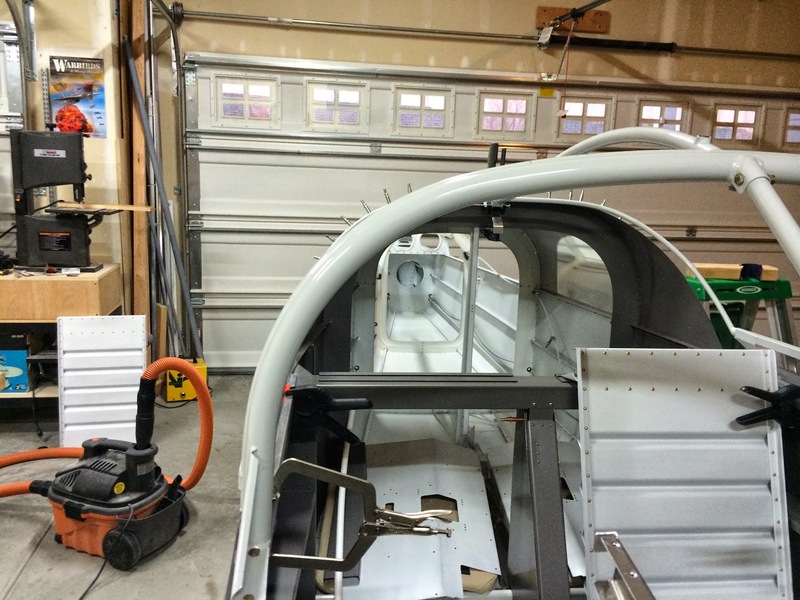 Lets start with this roll bar. It actually fit "ok" but not great. I had to shim the aft end of the co-pilot side and the forward end of the pilot side. Then I had to "bend" it about 3/16" of an inch. The instructions say to be careful bending because it bends "easily"... yes they used that exact word. Well, let me tell you that this sucker DID NOT WANT TO BUDGE. I jumped on it, I used my pipe clamps on it, I finally got out my pipe wrench with an extender, clamped the roll bar to my workbench, then I jumped up and down on the pipe wrench. Finally it budged just slightly. So I did it again...and finally I got it bent enough to fit nicely. 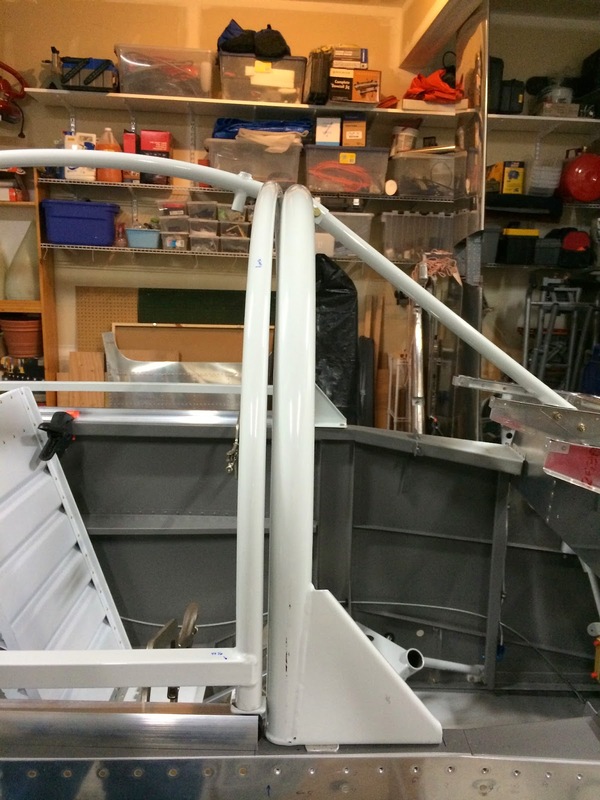 Next I had to install the support bar that attaches to the front deck and the roll bar. This was another challenge for a different reason. I forgot to drill out the holes for the base of the darn thing! I had to spend way to much time finding the holes and getting them lined up correctly. Next up was the battery box. Note that it looks a little beat up... well I guess I am going to try my hand at powder coating. The Shorai battery that I bought for the plane is just slightly larger than the normal RV battery. So I cut the box and extended it enough to fit the battery. I also cut the lightening holes and all that work really scuffed the box up. 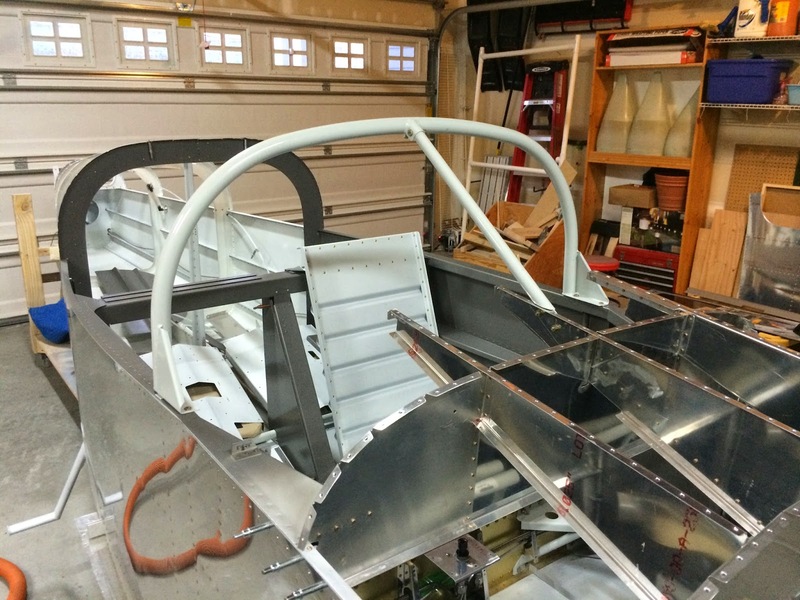 Here is the canopy frame when I first started fitting it to the fuselage. And here it is after I manged to do a little wrestling with it. Nothing that a nice tubing cutter couldn't handle. 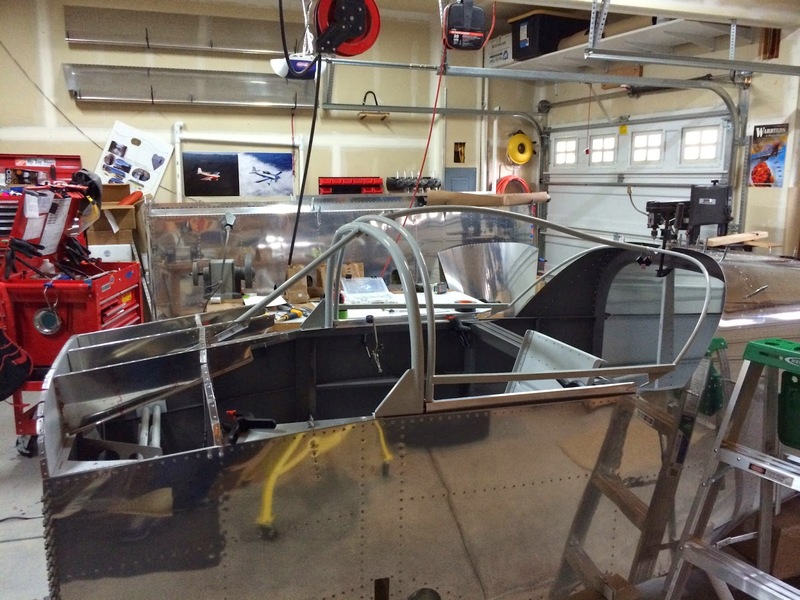 In this picture you can see the shim I had to add to the aft end of the roll bar to get it perpendicular to the fuselage. 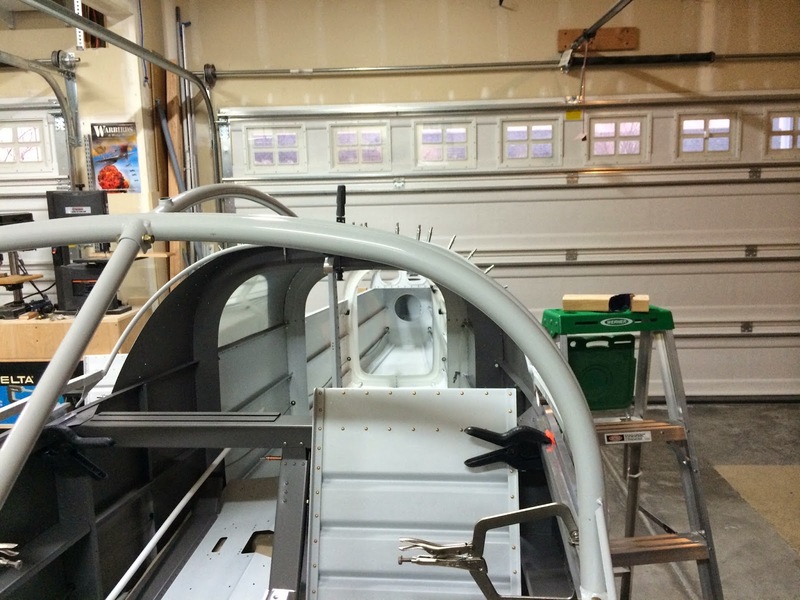 This picture shows the roll bar and the canopy frame from the front co-pilot side. Pretty good actually. And here it is from the pilot side. And finally after drilling the holes for the slide tracks I decided I needed to start running some wires. 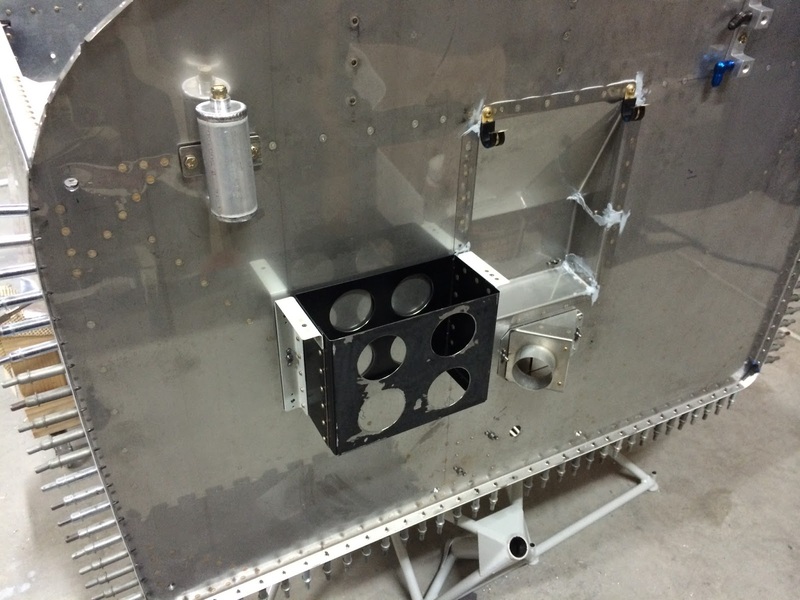 I want to get the tail wires run so I can rivet the aft top skins to the fuselage. I need these skins attached so I can finish up the canopy frame. 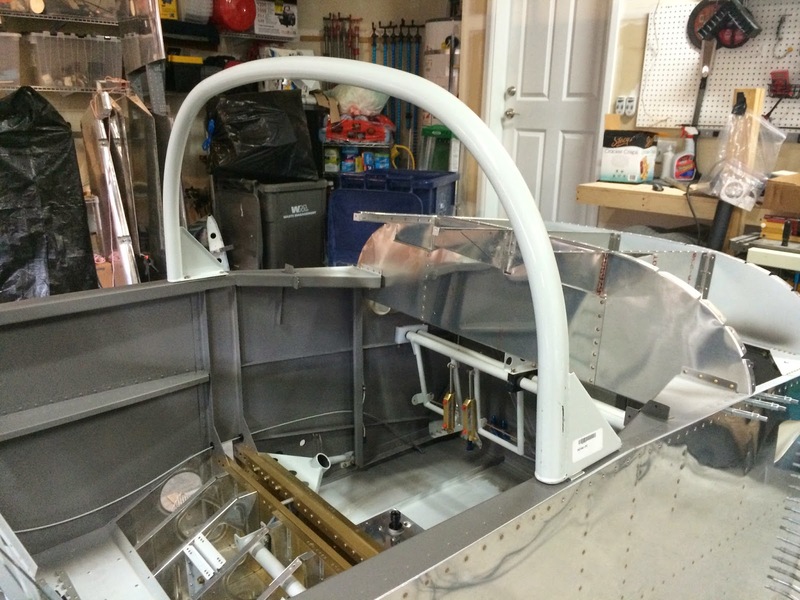 It wont be long before the temperature is hot enough that I can start working on the canopy. Looking great Darin! Thanks for the updates.